Enchanted Excurse: I winky At you!! Today the hubster and I got outside to get some groceries. Well I wanted to stop by Bath and Body Works to see if they had any sales on the candles. Oh my GOSH!! I came to find they have their autumn scents out!! So many too choose from, actually too much to chose from, it was a hard decision. The Candles weren't on sale sadly, but I still think they are worth the price. These candles everytime you burn them, always keep the same smell. Well they just keep a smell. So many candles from other stores the smell doesn't last at long, which is very depressing. So, yes, from now on I will purchase from Bath and Body Works for their candles. Weeeeee!!! I did notice they had some sales though. I purchased one item that was on sale. *giggles* I know why not purchase more?? Well I had my eye on a few other items I couldn't bear to live without. The sale is All Anti - Bactereal Hand soap is 2.50 each. I will post under the pictures what each item is. I just wanted to share with y'all, whoever reads this, about some good sales. The Scent to go in my Owl Wallflower. 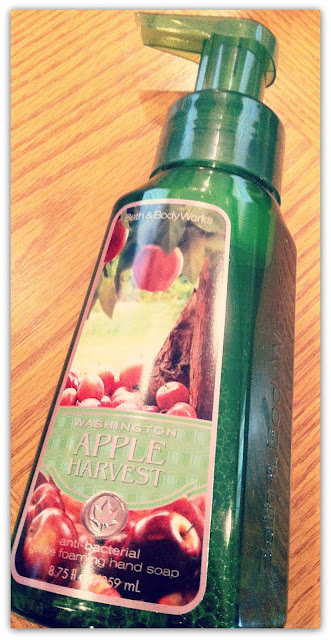 This scent is basically Blackberry with like an autumny spice scent mixed with it. I love it!! I Love These Autumn Smells. This is what was on sale!! Ok Yesh I splurged on this one. 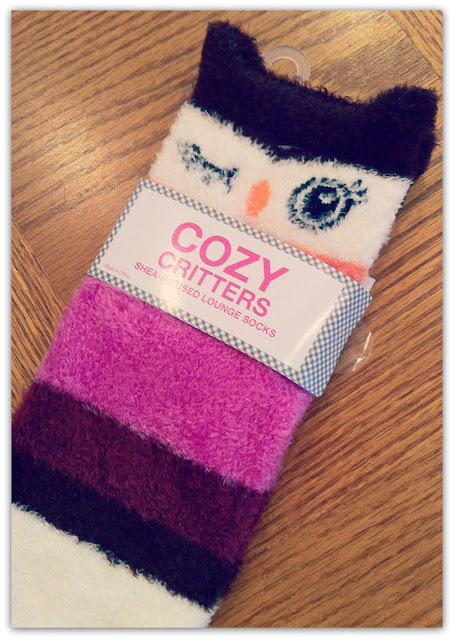 I could NOT Live without these cute winky owl socks!! Oh my gosh!! !